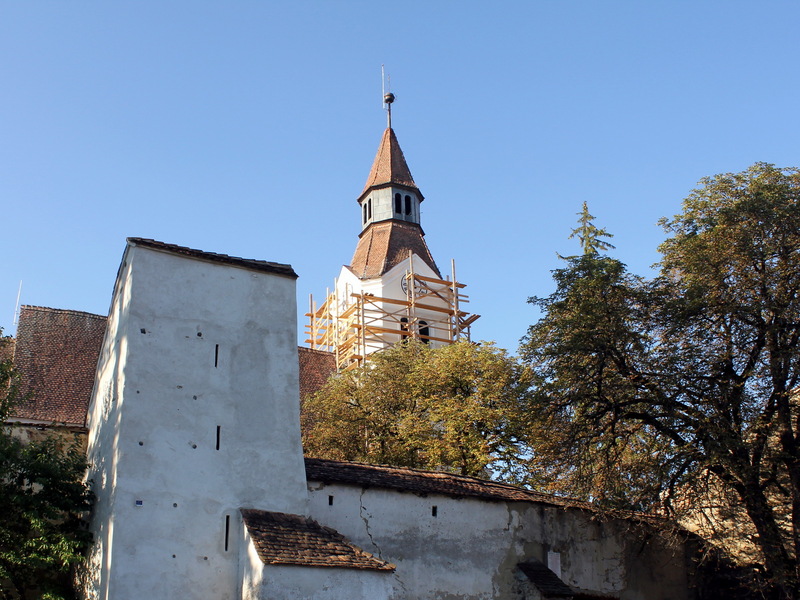 The fortified church in the village of Bunesti (Bodendorf in German or Szaszbuda in Hungarian), built at the beginning of the 14th century, replaced an older Romanic church. It holds both Romanic and Gothic structural elements. The church got fortified in the 16th century and was reinforced with circular defence walls and several bastions. The southern bastion became a school in the 19th century and later, the priest’s home. Mural paintings hide behind the stunning Classic style golden altar, built in wood.